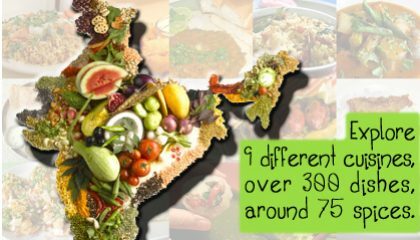 There are at least 15-16 distinctly different cuisines in India ranging from Kashmiri cuisine from Himalayan meadows to Punjabi cuisine from world’s most fertile plains to 100% vegetarian Udupi & Gujarati cuisines, to Kerala & Coorg cuisines from world’s oldest spice-trading regions to Portuguese-influenced Goan, French-influenced Pondicherry, and Iranian-influenced Parsi cuisines. Each of these cuisines took the concepts of the Science of Living Healthy, Wholesome, Well-Balanced, and Life and experimented with their local herbs and spices for over 3500 years and created these Flavorful and Healthy dishes. Though almost every Indian is adept in their own regional cuisine but if they try to cook dishes from other regional cuisines they often cook their interpretation of that rather than its Authentic version. This is true with most Indian restaurants. This interpretation compromises the delicate health-taste balance which each of these cuisines has mastered over the years. 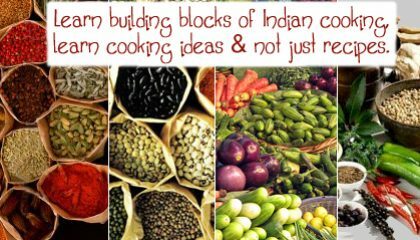 In our classes, explore from our repertoire of over 300 dishes from 13 of these distinctly different cuisines, from North, West, East, and South of India. Each of these dishes is cooked in their authentic form and not any interpretation.